All proxies are not equal, in fact it’s not even close. Even from a security perspective there’s a vast difference, proxies can provide a safe, secure environment or can potentially steal all your credentials while you use them. Even if you take two similar proxy servers, there’s going to be lots of differences when you start looking in any detail at the hardware, software, configuration and the infrastructure behind them. Just like types of firewall, there are almost limitless options available. However despite this, there are some basic categories that most proxies fit into and can be used to determine what to expect from any specific proxy. Here we’ll look at some of the proxy server meaning and definitions which you may come across online. 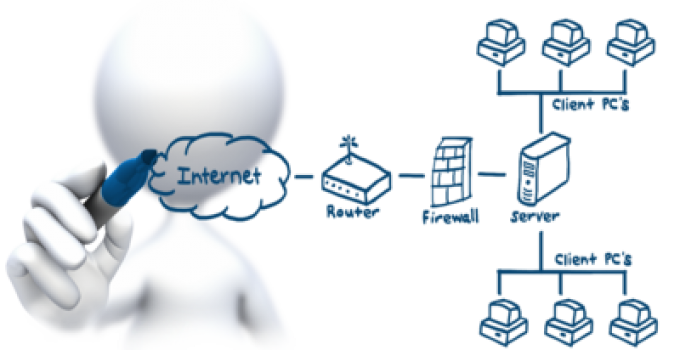 So What is the Best Type of Proxy Server? Let’s explain them in order, from potentially the least to most secure. In the modern context of using proxies to hide your location, bypass filters and content blocks the transparent proxy is actually of little use. In the initial days of the technology, transparent proxies were often seen as the most advanced and desirable type of service. A transparent proxy would normally be defined as a server that is undetectable to the client software. Normally the client would be aware of the proxy and in some instances the configuration of the proxy would be defined there too. An example is where the proxy would be defined on the browser such as the port to be used and perhaps even any authentication details required. Using transparent proxies usually requires a router or similar to redirect requests to the transparent proxy. This would allow the prosy to intercept all HTTP requests and then relay them to the correct location. Typically this could be used in a corporate environment where the proxy could parse requests and then apply any access control rules. Although if any restrictions are applied, it would cease to conform to the more general rule of transparent proxies of simply forwarding requests. If you see proxies described as transparent online, then it’s likely that it conforms to the more generic definition. That is that data is merely forwarded completely unaltered including the HTTP headers to their destination. A transparent proxy will make no attempt to hide itself and will not filter out any of the information when it forwards the request. As you can see there are some fundamental conflicts between these definitions depending on the context of the proxy. Outside a corporate network or if you’re looking at a proxy list then it’s probably safe to assume that any transparent proxy listed simply forwards any request it receives. This means that it makes no attempt to hide itself or the client, provides no or little security. It also is very likely to forward the proxy authorization header which contains details of the proxy, operating system and any authentication details. Basically if you want to stay hidden or hide your location in any way then using a transparent proxy will be of no use whatsoever. Next up the anonymity chain are the anonymous proxies, which generally provide some layer of anonymity. Their primary function in this aspect is to hide the IP address of the client making the request. Often this is enough for bypassing many filters and blocks which operate solely on the IP address which is connecting. So for example many media sites initially started the trend for blocking access based on the physical location of the browser. So for instance, if you tried to watch the BBC from any other country than the UK then you would be blocked. The website would simply record your IP address, check the location that it’s registered in and only allow access if it was in the United Kingdom. In many ways these filters were the reason that various proxy and VPN services became so popular. They have become more and more pervasive and increasingly many aspects of our browsing are tailored to our physical location. When the BBC for example first introduced these geo-blocks, a simple anonymous proxy was sufficient for some years to bypass them. All it did was hide your IP address, yet did nothing to hide any other details including the fact that it was likely a proxy was being used. Not all details would be forwarded within the HTTP headers, yet it’s likely that some would be. Examples include things like the proxy IP address, the software used and perhaps the operating systems of the clients. There is therefore some variance in the security offered by this group of proxies, some anonymous proxies are more anonymous than others! Yet nowadays any website which is actively looking at stopping the use of proxies to bypass their blocks would usually be able to identity (and block) this category of servers. So if you want complete anonymity and to hide both your own IP address plus the fact that you’re using a proxy then this is the category you’ll be most interested in. However remember that although you may be promised an elite proxy, that’s not always the case and if it’s important then only deal with specialized suppliers who know what they’re doing. So what is an elite proxy and how does it protect your privacy? Well like the previous category, the elite proxy will completely hide the client IP address so your exact physical location will not be revealed. In fact this is probably the most accurate definition, a proxy which hides both your IP address and the fact you’re using a proxy. This is not as simple as it may sound and requires both careful configuration of both the proxy software and the underlying operating system. Although you’ll see the label ‘elite’ all over the place, the reality is that elite proxies are actually pretty rare. However if you want your connection to be completely indistinguishable from a direct client in the target country, then nowadays it’s what you need. This obviously depends to some extent on how proficient the web site you’re visiting is at detecting the use of proxies. However most systems now will easily spot the use of all but the most advanced servers. Most media sites like Netflix and Hulu will easily spot any information leaked in the HTTP headers. Also if you’re using them for e-commerce, all sneaker proxies for example will have to be configured as elite proxies. Remember though, although an elite proxy will normally remove all identification there are many situations where that’s not completely necessary. Many websites still only really look at the origin of the IP address and don’t have any advanced detection systems in place. It’s also a fact that if you’re using the internet through a college or corporate network, then it’s likely you’re using a proxy anyway. 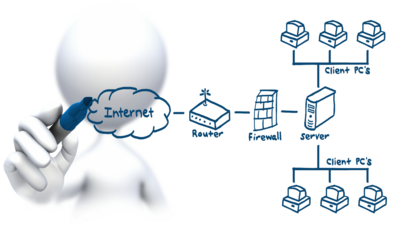 Most commercial networks enforce proxy connections in order to protect and monitor inbound connections, so a proxy can look completely natural in many situations. It’s likely for example that most social networks won’t automatically block inbound connections from proxies, otherwise they’d be blocking millions of legitimate users too. So do Instagram proxies have to be configured as elite proxies? It’s unlikely that this would be completely necessary, although they might well be flagged for closer scrutiny. Which is why simple categorization often isn’t enough to answer the question what is the best type of proxy server? Certainly the elite proxies are the most advanced and provide the highest level of anonymity. However if you try and access Netflix through a super advanced, elite proxy which happens to have a commercially registered IP address then it will be a complete failure. This is because Netflix will only allow access to it’s media sites through IP addresses registered as residential. So no amount of advanced configuration will help if the proxy you are using sits in a datacentre from a commercial IP address range. The best proxy server for one task might be completely different for another. 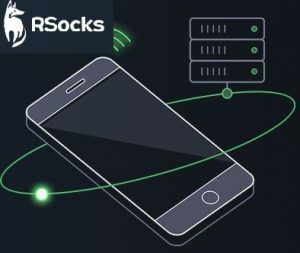 So for anonymity and privacy then an elite proxy or VPN is almost certainly the options to consider for specialized tasks you will need a server configured for that specific tasks. Most commercial providers have started to group their proxies into role based groups to accommodate this, certainly companies like Storm Proxies have gone this route.